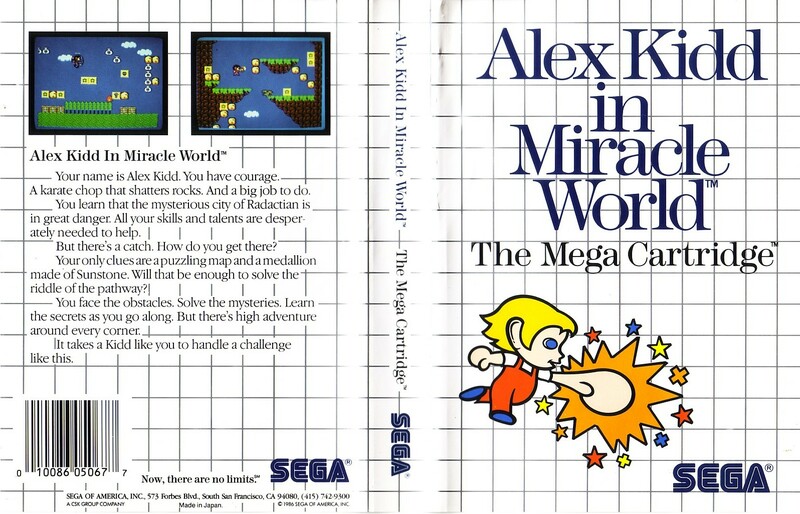 Alex Kidd in Miracle World / Alex Kidd no Miracle World (アレックスキッドのミラクルワールド) / Alex Kidd (알렉스키드) - USA All sides - Scans - SMS Power! Your name is Alex Kidd. You have courage. A karate chop that shatters rocks. And a big job to do. You face the obstacles. Solve the mysteries. Learn the secrets as you go along. But there's high adventure around every corner.